What is the Free Cash Flow (FCF) Formula? The generic Free Cash Flow FCF Formula is equal to Cash from OperationsCash Flow from OperationsCash Flow from Operations is the section of a company’s cash flow statement that represents the amount of cash a company generates (or consumes) from minus Capital ExpendituresCapital ExpendituresCapital expenditures refer to funds that are used by a company for the purchase, improvement, or maintenance of long-term assets to improve the efficiency. FCF represents the amount of cash generated by a business, after accounting for reinvestment in non-current capital assets by the company. This figure is also sometimes compared to Free Cash Flow to Equity or Free Cash Flow to the Firm (see a comparison of cash flow typesThe Ultimate Cash Flow Guide (EBITDA, CF, FCF, FCFE, FCFF)This is the ultimate Cash Flow Guide to understand the differences between EBITDA, Cash Flow from Operations (CF), Free Cash Flow (FCF), Unlevered Free Cash Flow or Free Cash Flow to Firm (FCFF). Learn the formula to calculate each and derive them from an income statement, balance sheet or statement of cash flows). Read CFI’s Ultimate Cash Flow GuideValuationFree valuation guides to learn the most important concepts at your own pace. These articles will teach you business valuation best practices and how to value a company using comparable company analysis, discounted cash flow (DCF) modeling, and precedent transactions, as used in investment banking, equity research, now and learn more about the various types of cash flow! If you don’t have the cash flow statementCash Flow Statement​A Cash Flow Statement (officially called the Statement of Cash Flows) contains information on how much cash a company has generated and used during a given period. It contains 3 sections: cash from operations, cash from investing and cash from financing. handy to find Cash From Operations and Capital Expenditures, you can derive it from the Income statement and balance sheet. Below we will walk through each of the step required to derive the FCF Formula from the very beginning. Cash From Operations is net incomeNet IncomeNet Income is a key line item, not only in the income statement, but in all three core financial statements. While it is arrived at through the income statement, the net profit is also used in both the balance sheet and the cash flow statement. plus any non-cash expensesNon Cash ExpensesNon cash expenses appear on an income statement because accounting principles require them to be recorded despite not actually being paid for with cash. The most common example of a non cash expense is depreciation, where the cost of an asset is spread out over time, adjusted for changes in non-cash working capital (accounts receivable, inventory, accounts payable, etc). We can further break down non-cash expenses into simply the sum an all items listed on the income statement that do not affect cash. The most common items that do not affect cash are depreciationDepreciation ExpenseDepreciation expense is used to reduce the value of plant, property, and equipment to match its use, and wear and tear over time. Depreciation expense is used to better match the expense of a long-term asset to the revenue it generates. and amortization, stock-based compensationStock Based CompensationStock Based Compensation (also called Share Based Compensation or Equity Compensation) if a way of paying employees, executives, and directors or a company, impairment chargesGoodwill Impairment AccountingA Goodwill Impairment occurs when the value of goodwill on a company's balance sheet exceeds the tested accounting value by the auditors resulting in a write-down or impairment charge. Per accounting standards, goodwill should be carried as an asset and evaluated yearly. Companies should assess if an impairment is, and gains/losses on investments. Calculating the changes non-cash net working capitalNet Working CapitalNet Working Capital (NWC) is the difference between a company's current assets (net of cash) and current liabilities (net of debt) on its balance sheet. It is a measure of a company’s liquidity and its ability to meet short-term obligations as well as fund operations of the business. The ideal position is to is typically the most complicated step in deriving the FCF Formula, especially if the company has a complex balance sheetBalance SheetThe balance sheet is one of the three fundamental financial statements. These statements are key to both financial modeling and accounting. The balance sheet displays the company’s total assets, and how these assets are financed, through either debt or equity. Assets = Liabilities + Equity. The most common items that impact the formula (on a simple balance sheet) are accounts receivable, inventory and accounts payable. It is possible to derive capital expenditures (CapExHow to Calculate CapEx - FormulaThis guide shows how to calculate CapEx by deriving the CapEx formula from the income statement and balance sheet for use in financial modeling and analysis. To calculate capital expenditures, use depreciation on the income statement, add current period PP&E and subtract prior period PP&E) for a company without the cash flow statement. To do this, we can use the following formula with line items from the balance sheet and income statementIncome StatementThe Income Statement (or Statement of Profit and Loss) shows performance from operations of a business. The financial statement begins with revenues and. We can combine the above four steps into one long FCF formula. In practical terms, it would not make sense to calculate FCF all in one formula. Instead, it would usually be done as several separate calculations, as we showed in the first 4 steps of the derivation. When corporate finance professionals refer to Free Cash Flow, they also may be referring to Unlevered Free Cash FlowUnlevered Free Cash FlowUnlevered Free Cash Flow is a theoretical cash flow figure for a business, assuming the company is completely debt free with no interest expense. It's used in financial modeling to calculate a company's enterprise value. The formula = EBIT - Taxes + Depreciation & Amortization - Capex – Change in Working Capital, (Free Cash Flow to the Firm), or Levered Free Cash Flow (Free Cash Flow to EquityFree Cash Flow to Equity (FCFE)Free cash flow to equity (FCFE) is the amount of cash a business generates that is available to be potentially distributed to shareholders. It is calculated as Cash from Operations less Capital Expenditures. This guide will provide a detailed explanation of why it’s important and how to calculate it and several). 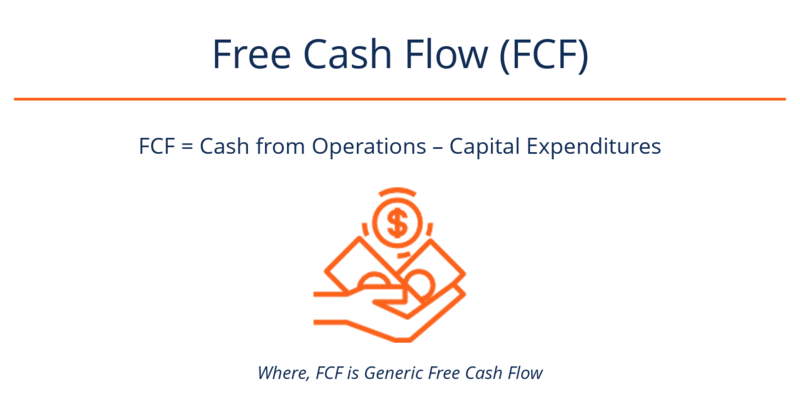 One of the main differences between generic Free Cash Flow and Unlevered Free Cash Flow is that regular FCF includes the company’s interest expenseInterest ExpenseInterest expense arises out of a company that finances through debt or capital leases. Interest is found in the income statement, but can also be calculated through the debt schedule. The schedule should outline all the major pieces of debt a company has on its balance sheet, and calculate interest by multiplying the, whereas the unlevered version backs out the interest expense and makes an estimate of what taxes would be without the interest expense. To learn more, see our guide on FCF vs Unlevered FCF vs Levered FCFValuationFree valuation guides to learn the most important concepts at your own pace. These articles will teach you business valuation best practices and how to value a company using comparable company analysis, discounted cash flow (DCF) modeling, and precedent transactions, as used in investment banking, equity research,. Below is a video explanation of various types of cash flow including, EBITDAEBITDAEBITDA or Earnings Before Interest, Tax, Depreciation, Amortization is a company's profits before any of these net deductions are made. EBITDA focuses on the operating decisions of a business because it looks at the business’ profitability from core operations before the impact of capital structure. Formula, examples, CF, FCF, FCFE, and FCFF. Check out the video to learn what each of them is! Hopefully, this free YouTube video has helped shed some light on the various types of cash flow, how to calculate them, and what they mean. To make sure you have a thorough understanding of each type, please read CFI’s Cash Flow Comparision GuideThe Ultimate Cash Flow Guide (EBITDA, CF, FCF, FCFE, FCFF)This is the ultimate Cash Flow Guide to understand the differences between EBITDA, Cash Flow from Operations (CF), Free Cash Flow (FCF), Unlevered Free Cash Flow or Free Cash Flow to Firm (FCFF). Learn the formula to calculate each and derive them from an income statement, balance sheet or statement of cash flows. When it comes to financial modelingWhat is Financial ModelingFinancial modeling is performed in Excel to forecast a company's financial performance. Overview of what is financial modeling, how & why to build a model. A 3 statement model links income statement, balance sheet, and cash flow statement. 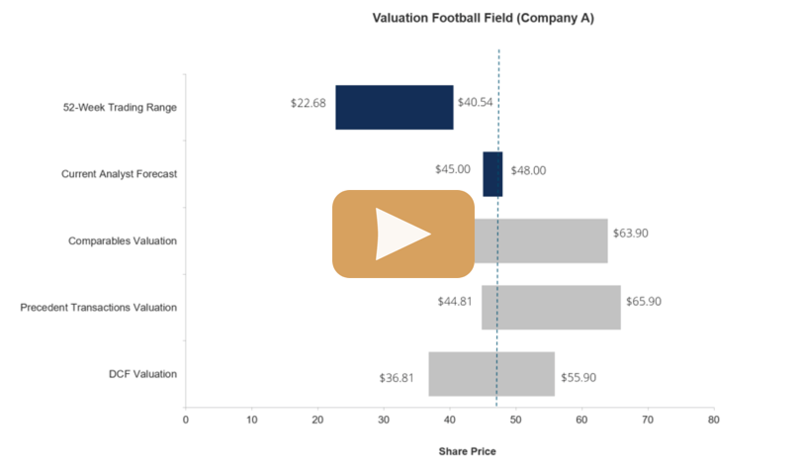 More advanced types of financial models are built for valuation, plannnig, and and performing company valuations in Excel, most analysts use unlevered FCF. They will typically create a separate schedule in the model where the break down the calculation into simple steps and all components together. 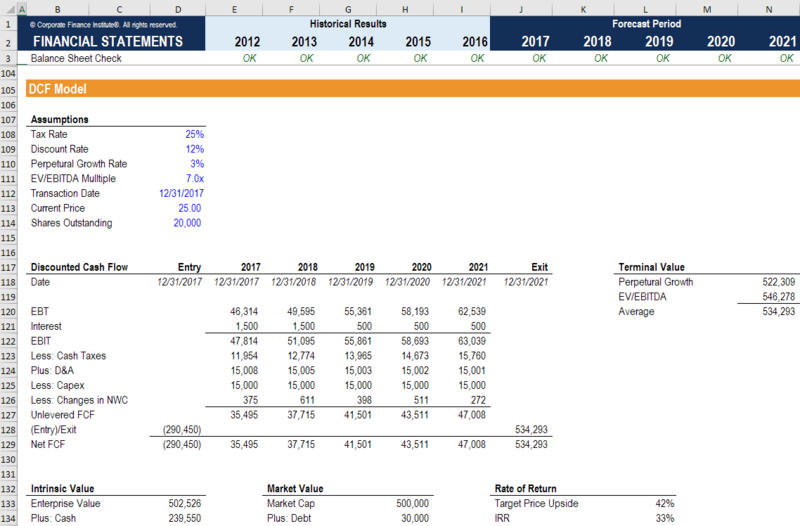 Below is an example of the unlevered FCF calculation from a real financial model. We hope this has been a helpful guide to understanding the FCF formula, how to derive it, and how to calculate FCF yourself.